One of the services we offer at Precise Dental is Same Day Bridges. Weather the tooth is missing or needs to be removed we can replace that missing tooth the same day with a new beautiful bridge. First, the teeth next to the space are prepared for abutment crowns that will support the bridge. 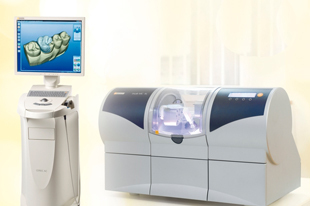 Then, a special camera scans the teeth to create a three dimensional image of the area to restore. We then use that image to design and create your custom bridge right here in the office. You don't have to go though the discomfort of impressions and a temporary bridge - simply wait until we're finished and leave with your new bridge. 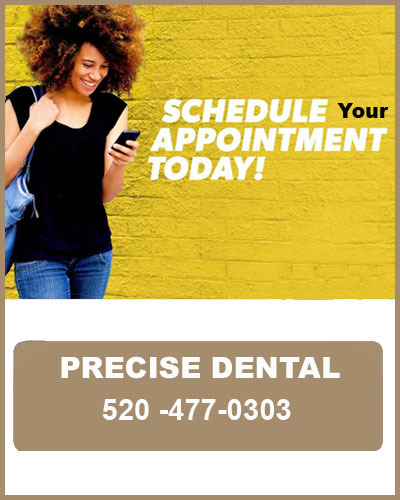 Call Precise Dental today at 520-477-0303 to learn more about the crowns we can design for your teeth.